QUEEN ESTHER - BEAUTIFUL JEWISH ORPHAN MAKES GOOD!! Esther: A beautiful young Jewish orphan who is cared for by cousin Mordecai. 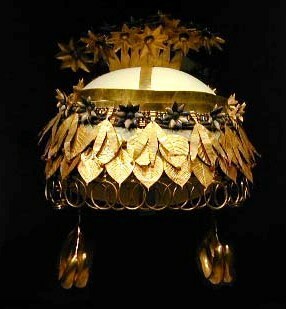 Chosen to be a possible wife for the great king Xerxes I. Becomes wife of the Persian emperor, who does not know she is Jewish. Intelligent, discreet – the perfect wife. Saves the Jewish people from the danger of the first recorded Holocaust. Mordecai: a Jew during the Babylonian exile. Esther’s cousin and guardian. He urges Esther to use her influence to save the Jewish people, even though it means possible death for her. Afterwards he becomes chief minister to the emperor/king. Ahasuerus: the Hebrew name for the Persian king Xerxes. Divorced his highborn first wife in a fit of pique. Holds a nation-wide search for a second wife. Erratic and short-sighted, unsuited to rule the huge Persian empire – an ideal character for this satire on absolute power. Haman: Chief minister and adviser to King Ahasuerus. He hates all Jews, especially Mordecai. Esther outmaneuvers him and he is hanged from the gallows he built for Mordecai. Vashti: The first wife of Ahasuerus. Refuses to parade before her husband’s drunken friends at a royal banquet. There’s a hint of political intrigue going on behind the scenes, which Ahasuerus is too stupid to pick up. She is banished for lèse majesté. 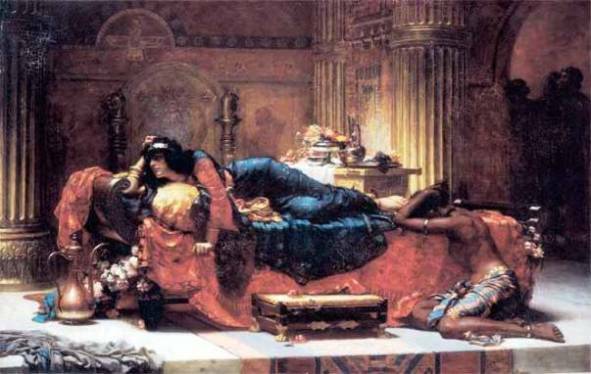 One night when the Persian king, Ahasuerus, was drunk, he sent for his beautiful queen, Vashti, to appear before his guests to show off her beauty. She refused to come. She was from the high aristocracy of the kingdom, and considered it unsuitable that a woman of her rank and status should be paraded in front of a group of drunken men. Humiliated, the king banished her. But now he was lonely, so a beauty contest was held: the most beautiful girl in the kingdom would become his new queen. See Esther Paintings for various interpretations of this scene. 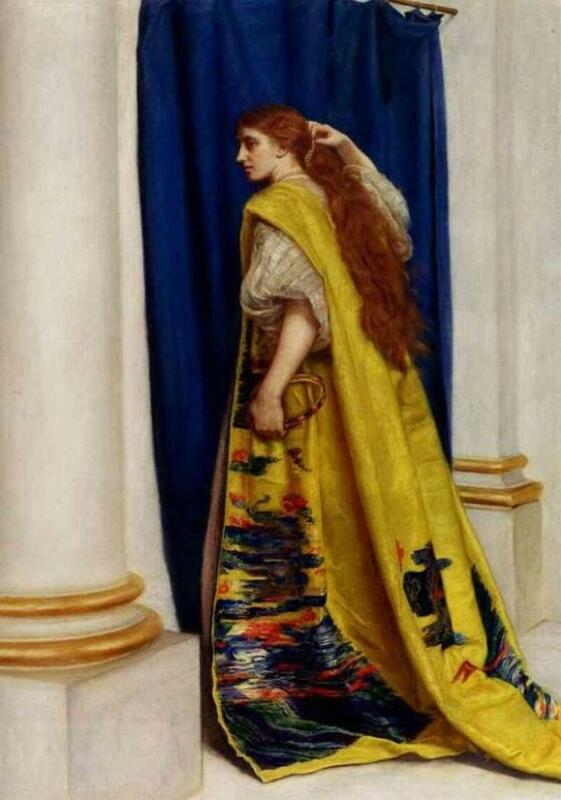 A young Jewish girl called Esther was chosen. She was helped by her cousin Mordecai, but nobody knew that they were related, or that Esther was a Jewess. Mordecai was in the king’s favor, since he had once saved the king’s life. But Mordecai had an enemy, a powerful man called Haman. Discovering that Mordecai was Jewish, Haman fed the mind of the king with ideas about people who were ‘different’. Under his influence, the king decided to execute all Jews in his kingdom – not realizing his beloved new queen Esther, and his savior Mordecai, were both Jewish. Mordecai went to Esther and told her she must do something to save her people. She did not wish to, because it would place her own life in danger – she was not allowed, on pain of death, to go to the king unless she had been summoned. But she gathered her courage together, went to the king’s throne-room, and fortunately was embraced by him. She invited him to a special banquet at which, of course, he would be the guest of honor. Haman was to come as well. Haman and the king attended the banquet, and Ahasuerus promised Esther that she could have anything she wanted – even half his kingdom. 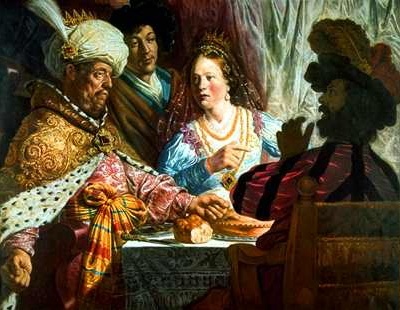 Esther asked that the king and Haman attend a second banquet. The king agreed. In high spirits, Haman returned to his home and ordered the erection of a gallows, to hang Mordecai. Meanwhile, Esther’s banquet had started. Ahasuerus again promised Esther anything she wanted. She asked that her life be spared and her people saved. From whom? asked the King. From Haman, replied Esther. Haman was trapped. He was taken out and hanged from the gallows he had built for Mordecai. The Jews were not only saved from death: they could attack those people who had been their enemies, and claim their property. On the very day that they were to have been annihilated, they turned the tables by destroying all those who had sought to kill them. Thousands were killed, including the ten sons of Haman. From that day on, the Jewish people kept the day as a special festival called Purim. More paintings of beautiful Esther! 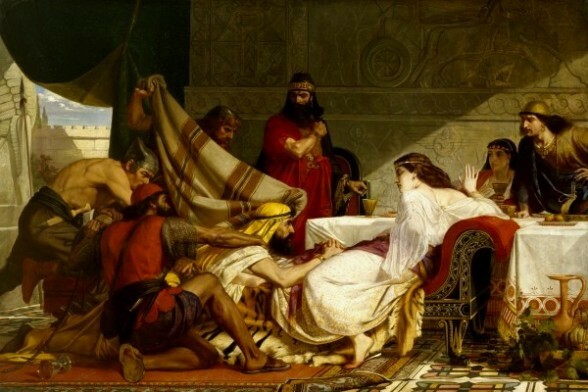 Judith – another great Bible heroine!